As part of a new five-year contract hire agreement with long-standing customer Menzies Distribution, Fraikin was tasked with supplying 75 commercial vehicle assets to the company within weeks. In order to meet this challenge, equivalent vehicles were sourced through its rental division, whilst the new assets were in build. The rapid turnaround was required to ensure Menzies Distribution was ready for a major new contract delivering to retailers across the UK – and thanks to the resourceful team at Fraikin, it was able to achieve this. 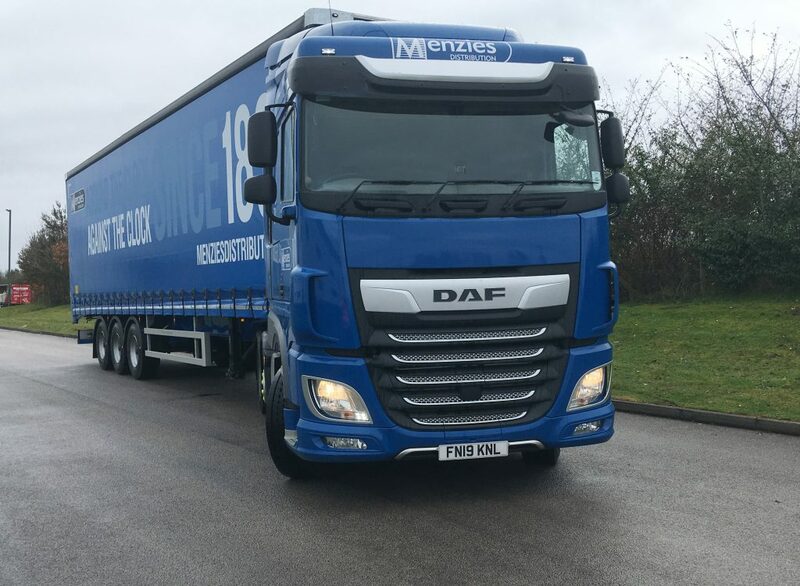 Deliveries of the 27 new 44-tonne DAF XF tractors, alongside 42 single-deck and six double-deck Montracon curtainside trailers have now begun, extending Fraikin’s share of Menzies’ 600-strong fleet to around 70 per cent. Lee Anderson, Transport and Assets Manager at Menzies Distribution, says: “We’ve enjoyed a strong relationship with Fraikin since 2005, and we see them very much as a trusted partner. This key contract began in December 2018, so we thought getting 75 assets to seven locations across the UK in time for the peak Christmas season was going to be a very tall order – we couldn’t have been more wrong, everything went like clockwork. Fraikin will manage all repair, maintenance and servicing of the new assets through its national network of workshops and approved third-party repairers, ensuring all work is carried out near Menzies Distribution’s own depots. Anderson adds: “Customer contracts such as this one are the lifeblood of our business, so guaranteeing uptime across the fleet is critical. Fraikin worked closely with us on the specification of every new addition, and their attention to every detail gives us real peace of mind. As part of the continuing relationship between the two companies, Fraikin is arranging for Menzies Distribution to trial a pair of IVECO Stralis NP tractors. The two vehicles will allow Menzies to evaluate the potential for fuelling its future fleet on either compressed natural gas (CNG) or liquefied natural gas (LNG). Menzies Distribution specialises in retail delivery, transporting seven million newspapers and magazines to almost 30,000 retailers across the UK every day. The company also provides parcel and freight logistics throughout Scotland.